This entry was posted on March 9, 2018 by MAV Europe. Where does the knowledge of “Marma” come from? Historic sources mention 6,000-1,500 B.C. as the time of the first recording of Vedic texts. The classic Ayurveda writings of the Charaka-Samhita (inner medicine) and Sushruta-Samhita (surgery) were written in the 8th or 6th century B.C. In the Sushruta-Samhita, 107 important energy points (Marmas) are described. The texts state that a person’s vital strength is hidden in the Marmas which are considered as connecting points of various body structures, so to say their subtle nature and their physical expression. Maharishi Mahesh Yogi describes Marmas as “cosmic switch points”. Marmas are the “seats of life” that control and regulate the flow of vital energy. Maharishi Marma Therapy teaches that the Marmas are alive with the vibrations of primordial sound. They are the subtle control points for all mental and physical functions and thus require special attention. Marma therapy in the original sense is “handling” (therapy with the hands) of these special vital points to balance body and mind, to detox, strengthen, vitalise and relax the organism, to release energy blockages and to heal diseases. In traditional Indian natural medicine, there is often only limited application of Marma therapy: The treatment is concentrated less on the energy field of the Marma point and more on the tissue structure that is extensively included in a massage. In some ways, this treatment is similar to the muscle, tendon and trigger point massage in Western physiotherapy. With support from J. R. Raju, M.D., Ernst Schrott, M.D. has created a soft, natural and effective therapy based on Vedic knowledge, classic ayurvedic texts and years of studies and research, supplemented by practical and clinical experience and verbal Marma traditions. 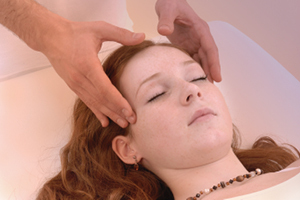 This gentle Marma treatment technique, the Sukshma Marma® Concept, is now presented and taught in Europe by best-selling author Ernst Schrott, M.D., board member of the Deutsche Gesellschaft für Ayurveda, head of the Deutsche Ayurveda-Akademie and Co-Director of the Department for Ayurveda Massage Therapy at the Maharishi Colleges for Perfect Health International. Health Professionals: Physicians, alternative practitioners and anyone officially authorised to treat disease. Pancha Karma Therapists: Technicians that treat patients in Maharishi Ayurveda clinics and health centres. Non-medical Professionals: Yoga and meditation teachers, meditators, aroma therapists, laymen, i.e. individuals who are interested in or have experience with medicine. The latter courses convey knowledge and practical applications of Sukshma Marma therapy for prevention and for maintaining your health. They also include ayurvedic lifestyle tips for treating simple health problems, and the basis of ayurvedic theory. The first course in Category A (health professionals, consisting in a three-weekend seminar starting from 26 to 29 April) will take place at MERU in the Netherlands and is aimed at physicians and other health professionals, preferably with basic knowledge of ayurvedic pulse diagnosis. For more information and to register, please contact courses@maharishi.net. More offers will follow for Category C (see above, including medical laymen, since Marma therapy is also especially suited for self- and partner treatment). Our tip: Maharishi Ayurveda Vata, Pitta or Kapha aroma oils are great for Marma therapy. One drop suffices! Just mix with a few drops of almond oil and apply to the Marma points. You can also use one drop of our Vata, Pitta or Kapha massage oils instead. 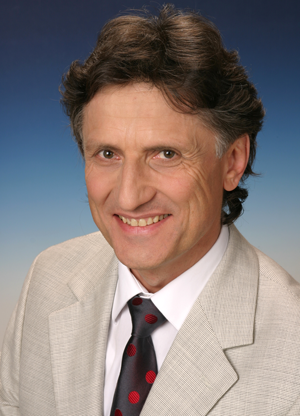 Ernst Schrott, M.D., doctor of naturopathy and homeopathy; co-founder and president of Deutsche Ayurveda Akademie, co-founder and vice-president of Deutsche Gesellschaft für Ayurveda.